I'm starting a series called Spill It Mom Letters. 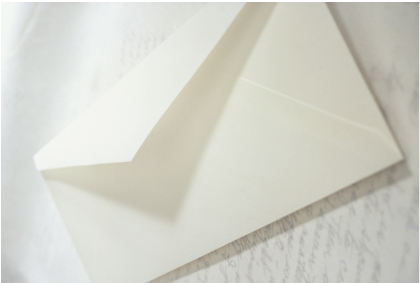 A collection of letters, written by you, to share with us. There are so many women out there with stories of motherhood that need to be told, but aren't, for whatever reason. Maybe for some it's because they don't know where start. I want to help unlock those stories and so I am offering you a template letter that you can use to write your own story of hardship, hope and personal growth. I wrote a letter to myself called Dear Mom On Your Darkest Day and posted it on my blog. An amazing thing happened. A woman messaged me to say that she read my letter and was inspired to write her own. The topic of her letter was very different than mine but the theme of hardship and hope was the same. She used my letter as a template, using many of the exact same sentences, but making the story completely her own. I wondered "who else has a letter to write?" Is it you? What is a Spill It Mom Letter? A letter written by the participant to their former self on a significant day in their past (like my Darkest Day letter). It could be a day you found out about loss, got shocking news, a day that changed the course of your life, or simply a day that burns in your memory and represents a difficult time. It's a letter that describes how you felt on that day, what you've lived through and learned since, and anything you want to say to yourself looking back on that day. I offer you my letter to use a template. Take it and rework it for your own story. You may take lines and words verbatim if they fit for you, or you can just use the flow of the letter as a guide for your own. See here for a template. My dream is to assemble a collection of these letters. (But if you would rather keep it for yourself that's ok too.) Send me your letter, and with your permission, I will post it on my blog. Who should consider writing their own Spill It Mom Letter? Any mother who has passed through a difficult time and through that process has grown, transformed or been rebuilt. Any mother who wants to write a letter to her past self to share compassion, learning and encouragement (and therefore helping others who currently experience something similar). What does your present day self want to tell your past self on that significant day? Do you have a personal story you've been wanting to tell but don't know how? Have you been reflecting on a hard season in your life and would like to work through it with pen and paper? Have you recently grown or gained perspective on an issue or event in your life? Do you want to share your story with people who are going through something similar? Are you willing to be really honest? Being vulnerable and real as we share our stories of motherhood offers healing and encouragement for all of us. I have been so encouraged in the past by women who have shared bits of their stories with me and I want to do the same for other women. Here are some of the values and beliefs that I hold that make me want to do this. Do any of these speak to you? I believe in paradox, that life can be painful and joyful at the same time, motherhood can be suffocating and freeing at the same time. We do not have to chose one or the other. Pick up a pen, or get cozy at the computer, and write us a letter! Feel free to email me with any questions or comments. I look forward to hearing from you.